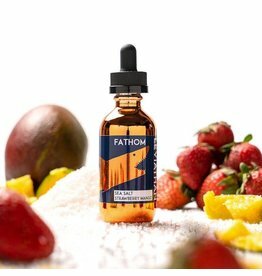 Can you fathom a delicious blend of mango, ripe strawberries and yogurt with a hint of sea salt? Fruit purists, sweet-toothed scalawags, and those with highly sophisticated tastes would gladly walk the plank for just another pull on this blissful mix. The moment you open this bottle and smell that caramelized brown sugar and butterscotch you’ll know this is a flavor you’ll have within arms reach at all times.